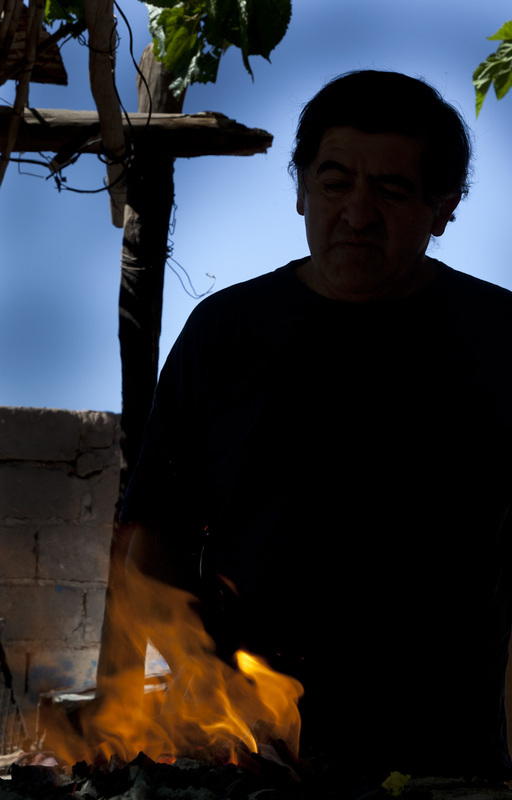 The blacksmith of Villa Union was a friend of my father’s. 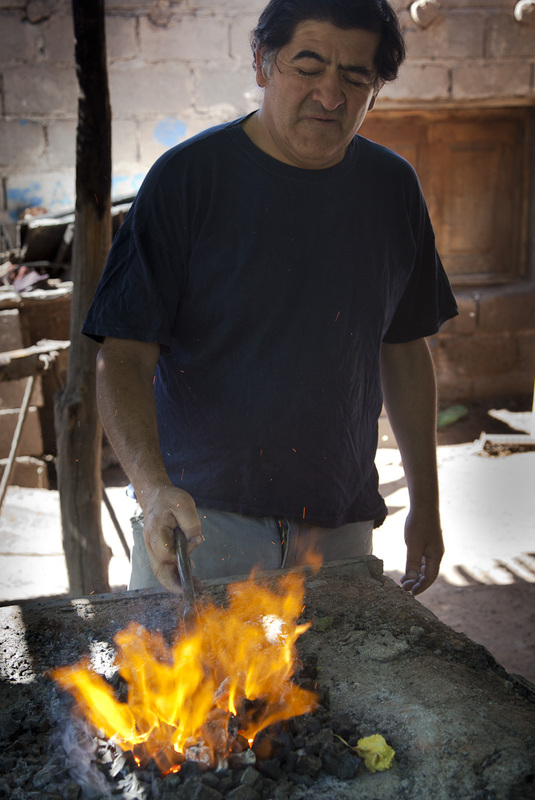 I used to watch him pound the red hot iron slabs into shapes of knives that he later hand-polished into shining steel blades. He would let me crank the blower to keep the coals hot. Now, Alfredo, the blacksmith’s son-in-law has taken over. 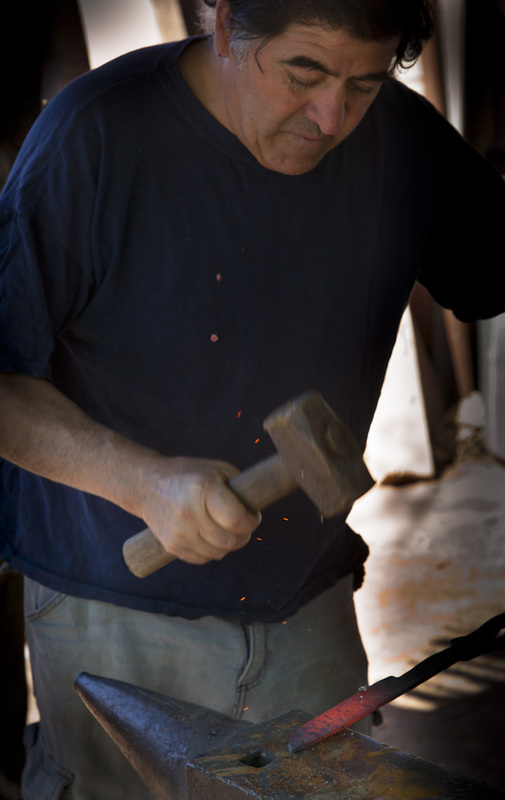 (The blacksmith died 15 years ago.) He flips a switch, the motor hums and the coals glow hot. Alfredo never met my father, but he tells me about the other North American missionaries he met – I know all of the names. His wife, Miriam, who does all the finishing might have been one of the kids we played with very visit. It was a combination of intuition and luck that brought us into the Cuchillos Artesanales storefront at Virginia’s suggestion. The forging area was behind, hidden from the street. It was the same as I remembered, outdoors, covered by a roof of leña held up by buried rustic posts. The hunk of metal was now red hot and Alfredo began to pound it into shape. Steam vapors came off the metal as he cooled it in a bucket of water. He brought the knife over to the grinder and I watch the sparks fly. 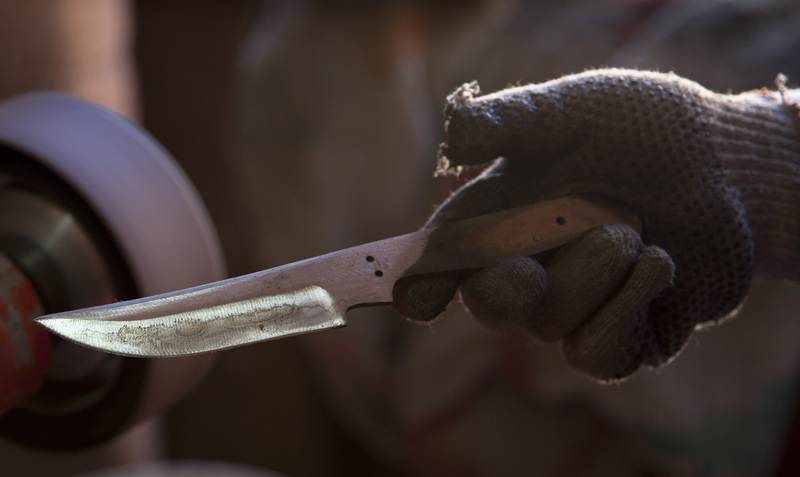 Step-by-step the black steel was transformed into a gleaming razor sharp blade. I used to watch this process over and over again as a 10-year old. 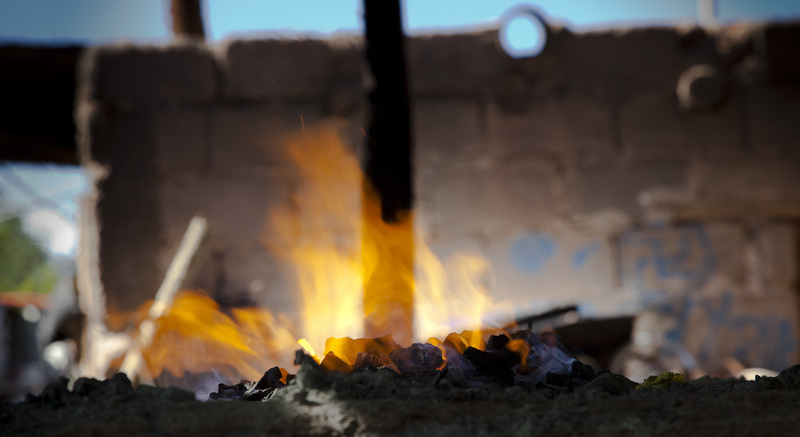 The forging of the steel from slab to sculpted blad captivated me – the streaming fire of sparks, the red coals, the steaming metal – the entire transformative process was fascinating. I think the idea that you could take something as ugly and useless as a piece of black metal and change it into a functional and beautiful object is what lead me into the arts and photography. No matter the kind of art being created, it involves a transformative process: idea to object, raw material to form, object to idea, and so on…. The energy of the process still captures my imagination. This entry was posted in Creativity and Photography, Fine Art Photography, Uncategorized and tagged Argentina, digital photography, fine art photography, photography. Bookmark the permalink. I remember this to. 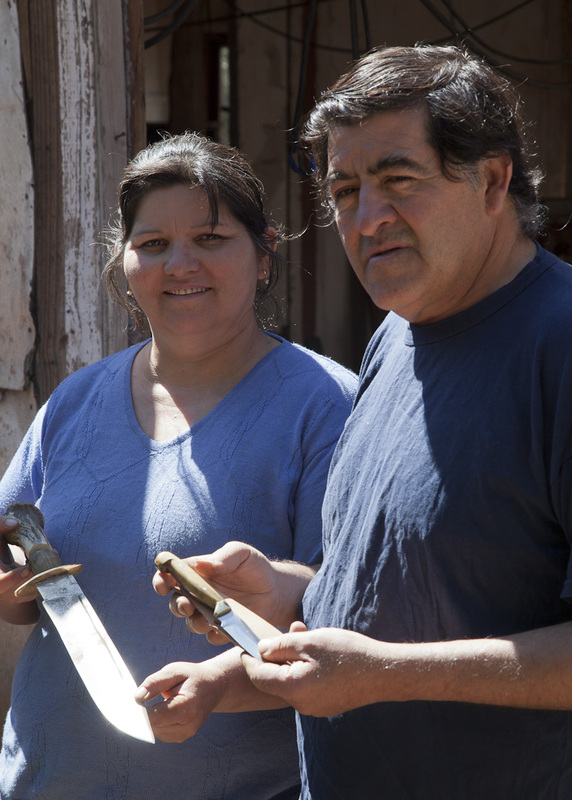 He would also let us try to make our own knifes but all we ended up was pounding steel flat. Wish I could be there with you. …I was amazed how much had not changed in Villa Union! The workshop looked exactly the way I remembered it.